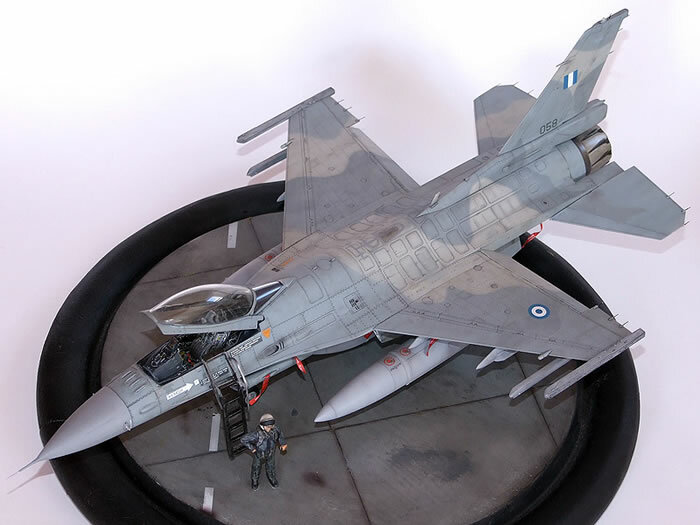 Here is my newest model, the F-16CJ Block 50 of the Hellenic Air Force (HAF) . 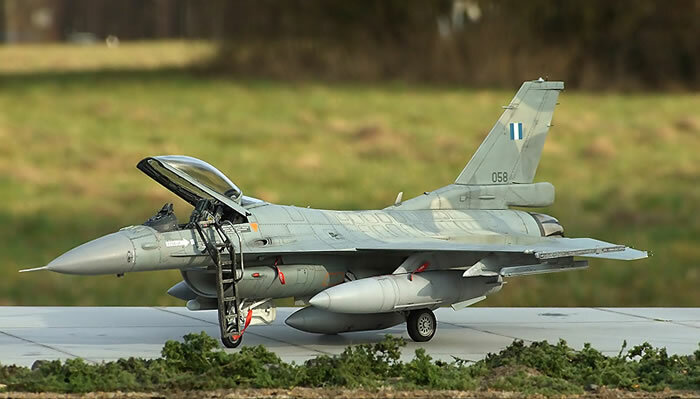 The Greek Air Force (HAF) hast altogether 180 F-16s from the F16C/D Block 30, 50 and 52. 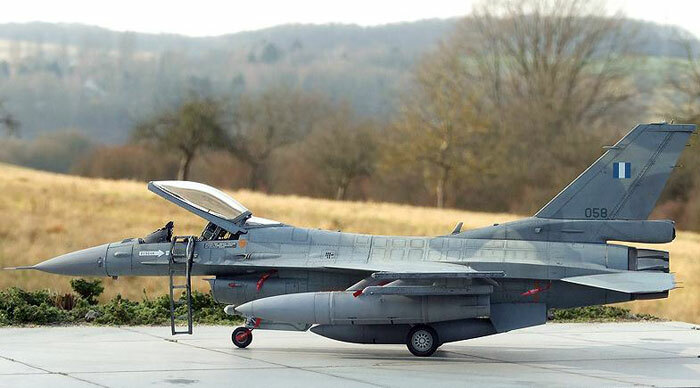 These airplanes have the same modern weapons as the U.S F-16. 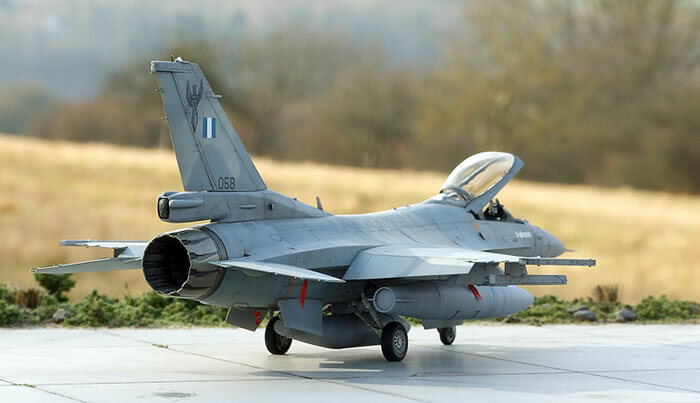 The first delivery of F-16C/Ds for Greece, code named Peace Xenia I, were Block 30 airplanes with a General Electric F110-GE-100 Turbofan. 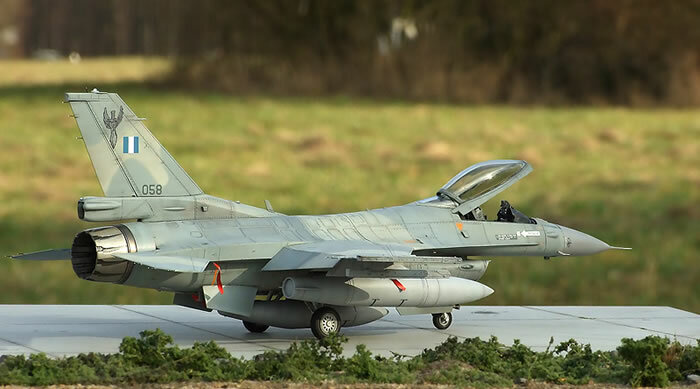 The first F-16D for the HAF was delivered on the 18. November 1988. 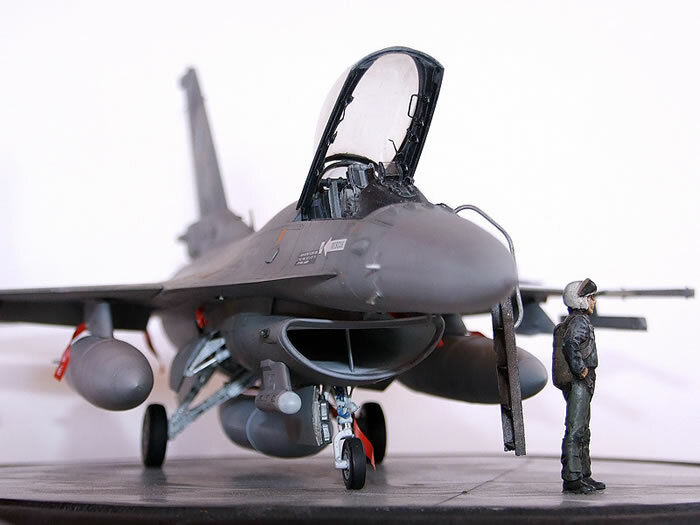 F-16Cs were delivered shortly after. 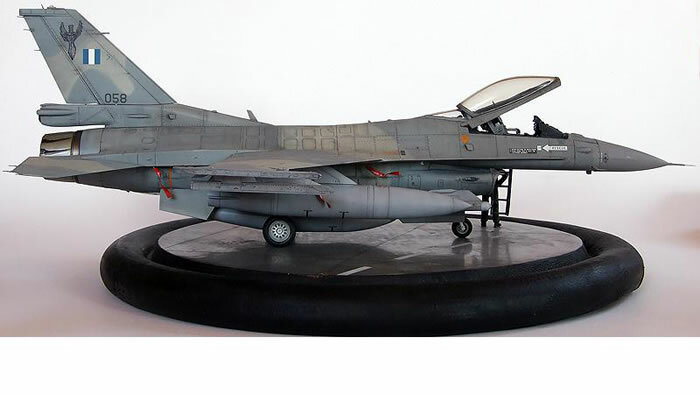 In April 1993, General Dynamics received an additional order to produce 40 more F-16CJ/DJ Block 50 airplanes (32 Charlie and 8 Delta Models). 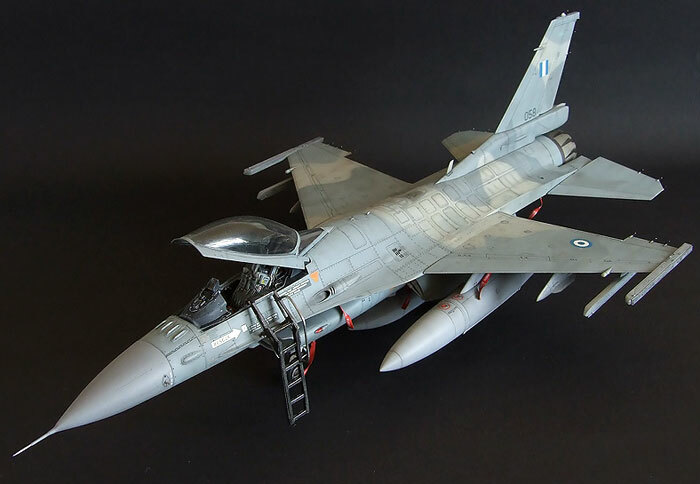 These aircraft are powered by a General Electric F110-GE-129 power plant, and were delivered under the code name Peace Xenia II. 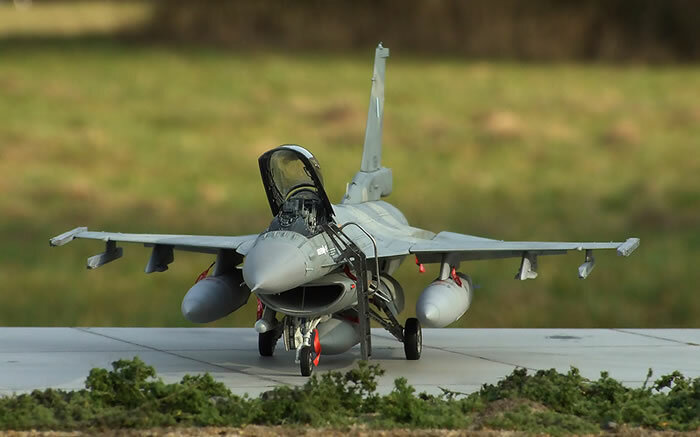 To discern the Blocks 30, 50 and 52 of HAF you only need to read the numbers on the fin. Block 30 Series begin with 1, airplanes of Block 50 Series with 0 and the airplanes of Block52 Series with 5. 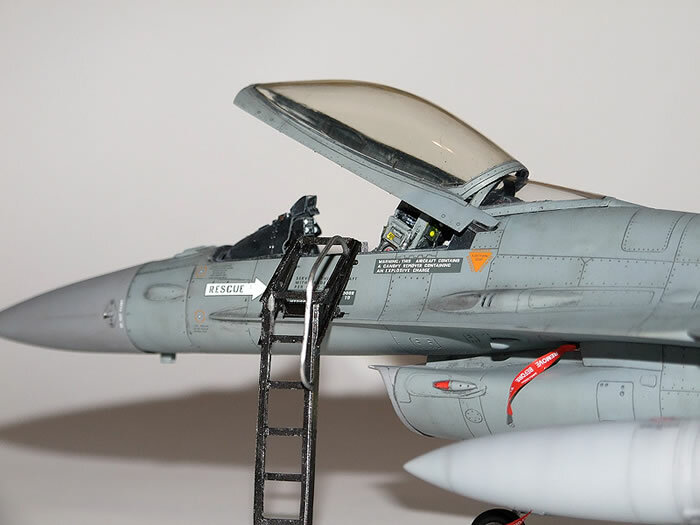 This is the new Tamiya 1/48 scale F-16CJ Block 50. The quality of the cockpit was okay but I also used parts from Eduard and Avionix (ex Blackbox). The pilot’s seat is from Avionix and also coloured in FS 36320. 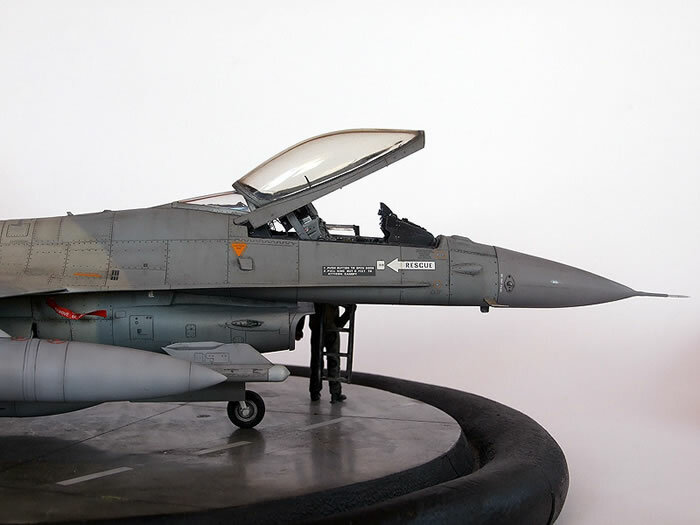 In this early stage of constructions I used the decals, because these for the pilots seat markings are also included. The air intake in the box is with four parts and needs to be puttied and sanded in this area as it is visible when assembled. One bad thing on this kit is that there is not enough cables and plumbing in the wheel well. 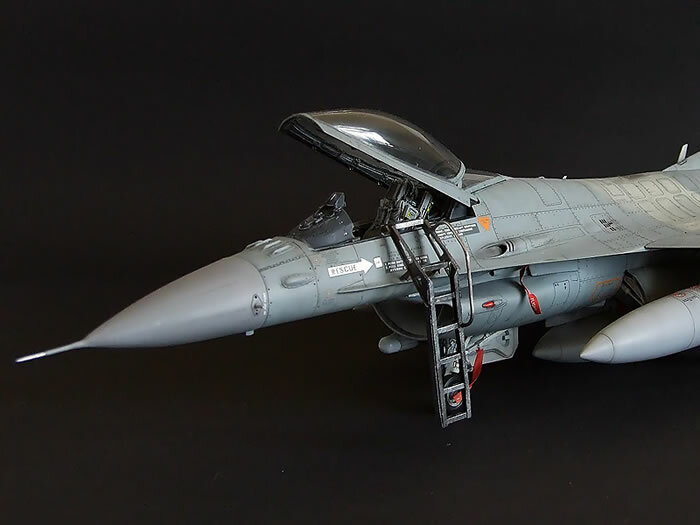 Here I used photo etched parts from Eduard (49390) and cables from my own spare part box. The inside of the nozzle are upgraded with parts from the Eduard photo etched detail set no. 49383. 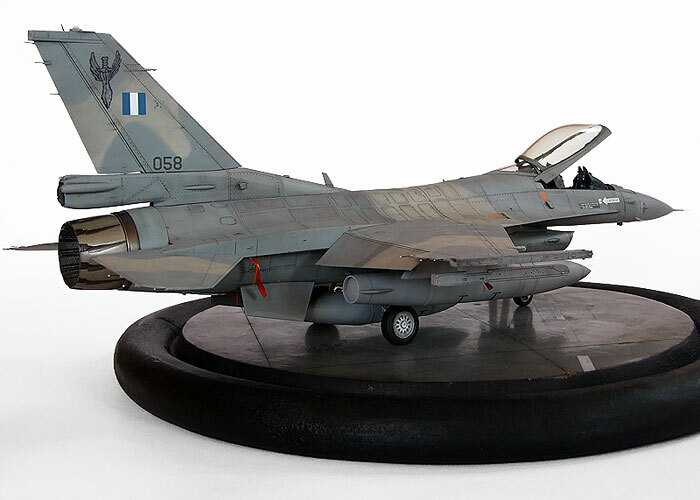 The colours of the F-16and F-4 for the HAF are called the Ghost Scheme. These colours are FS 35237, FS 36307 and FS 36251. These colours were sourced from Xtracolor. 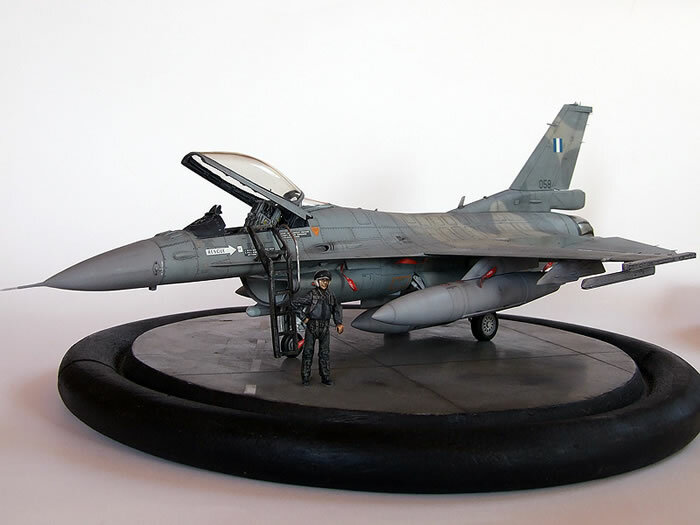 Because the colours of the F-16 are really bright straight from the tin, I used a light washing colour to tone and blend them. After airbrushing, I assembled the wheels, tanks, nozzle and weapon racks. 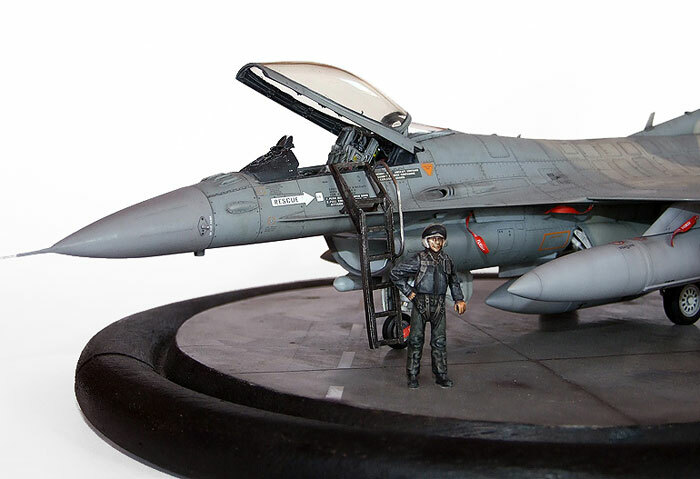 Markings are from ICARUS Decals. Finally I assembled the ladder from Eduard (48474) to get a really original look for this model. I hope you will have fun with these pics! If you have questions or anything else please ask on the Forums or send me an email.